Seafood is something that can definitely get boring. Knowing all of the health benefits of salmon, it’s something that is part of my diet once a week. I’m used to cooking the same old salmon with lemon and dill. Tonight, I decided to kick it up a notch and go for a sweet and savory dish. I invite you to try this recipe for yourself and your family. It's naturally sweet enough that kids will love it too. AND you will be getting vitally important Omega-3 fatty acids! These fats are important for skin, hair, healthy inflammatory response in the body and so much more! 2. Grease a 13x9 inch pan with coconut oil and arrange salmon in the greased pans. 3. In a small bowl, mix together the coconut sugar and your starch. 4. Chill in refrigerator while you complete the next steps. 5. In a small saucepan over low heat, melt coconut oil slowly. 6. Once melted, add in mango juice and coconut aminos stirring constantly. 7. Keep stirring, and then add in the sugar and starch mixture. Keep stirring until this blend starts to thicken. 8. Once mixture is thick, take your salmon out of refrigeration and pour coconut and mango mixture on top. 9. Bake salmon for 12-18 minutes until temperature reads 155°F. 10. 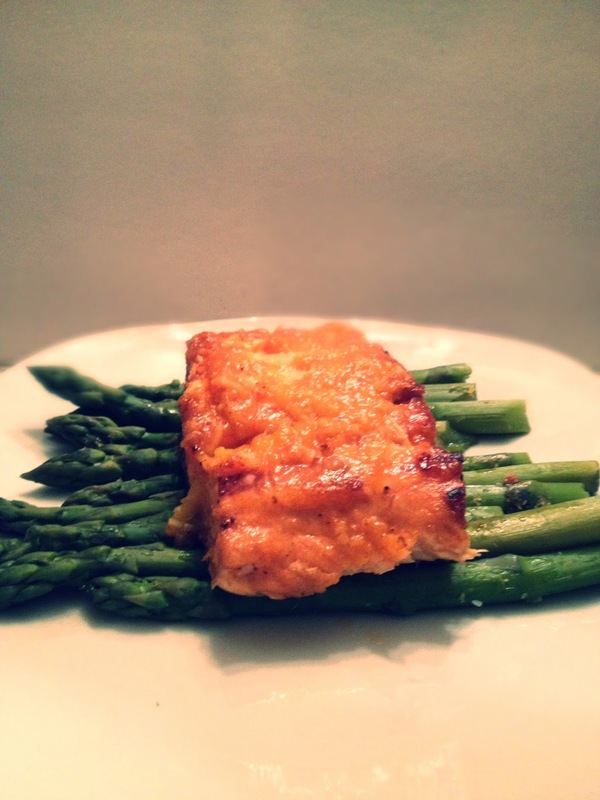 Serve with a simple grilled asparagus and enjoy!